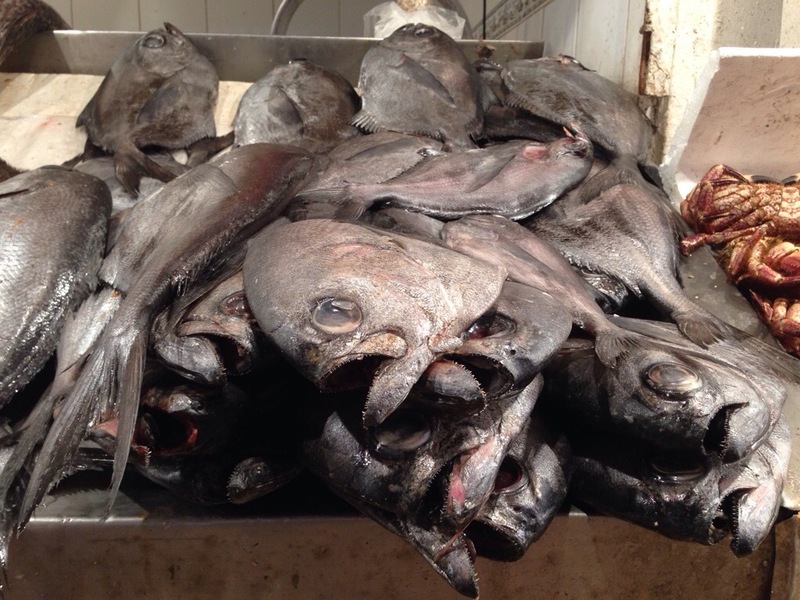 Despite the fact that I’m grapefriend and just landed in Chile for an amazing wine trip, my first meal was at the Mercado Central which is a humongous fish market in Santiago that provided us with a non-wine highlight. The building was built around 150 years ago and has amazing iron work. 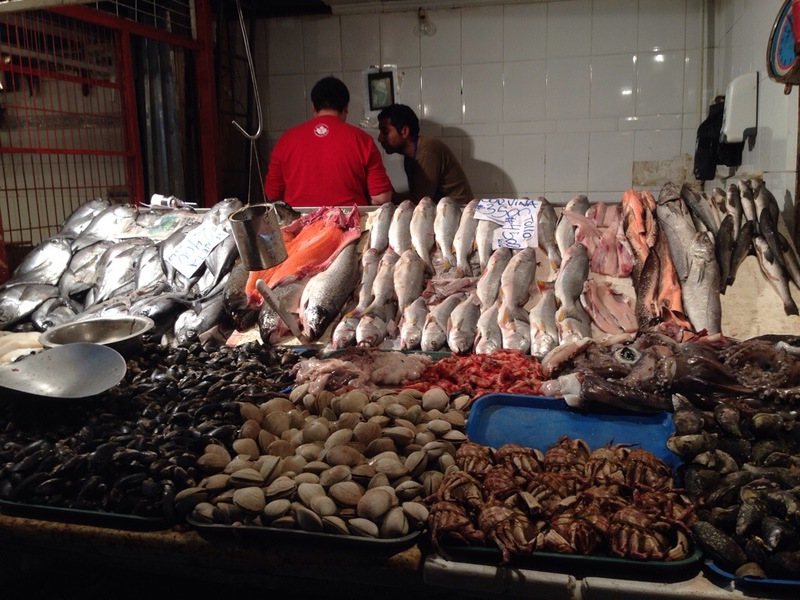 We walked around all the stands with fish of every variety: shellfish, river fish, possibly moving fish, gross fish. Then we sat down to eat a lot of it. My favorite was the Reineta, a mild white fish that was verrrry lightly breaded and sautéed. 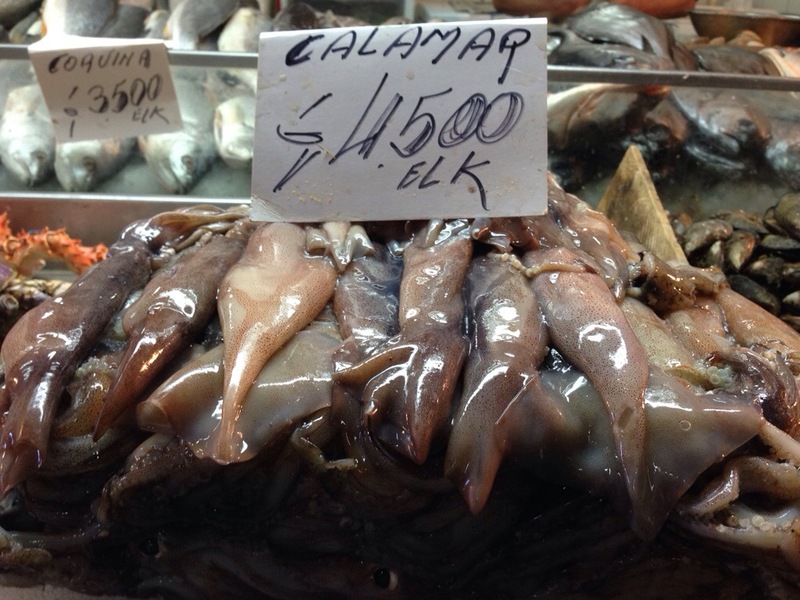 But I’m always a sucker for ceviche, which happens to go great with a Pisco Sour. It’s basically Chile’s national drink, made of Pisco (an unaged brandy), lemon juice, simple syrup, a dash of bitters, and egg whites. Lots of the trendy cocktail places now will froth up the egg white so you have a little foam on top of the drink but when I’ve been in Chile (today, and about 20 years ago) I’ve never seen it frothy. Anyway, we also had some crisp and lovely Chilean Sauvignon Blanc with lunch, but thought a Pisco post was a fitting kickoff to the week! 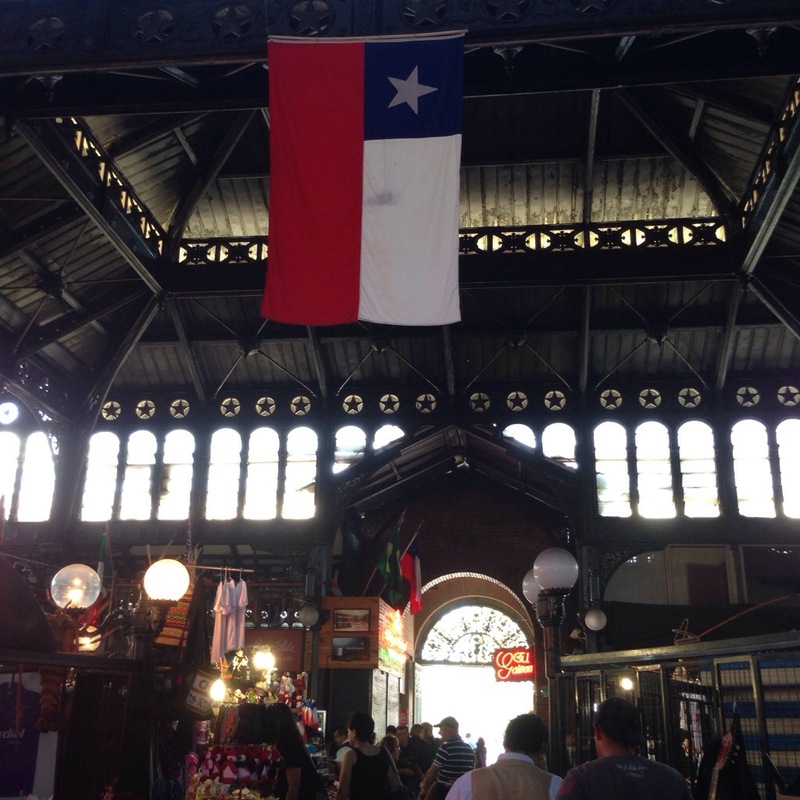 Stay tuned for more from South America all week, here and round the clock on Twitter @grapefriend. We head to Chilean vineyards tomorrow and then Mendoza in a few days. Tags: brandy, chile, food & drink, pisco, pisco sour, sauvignon blanc, wine. Bookmark the permalink. Lucky you, Chile has always been on my list of places to see.I love Pisco sour!! Looking forward to more!! Definitely on my bucket list. Everything looks delicious! Yep the food is low fuss and delicious. Very Jealous! Chili has some fantastic wine. 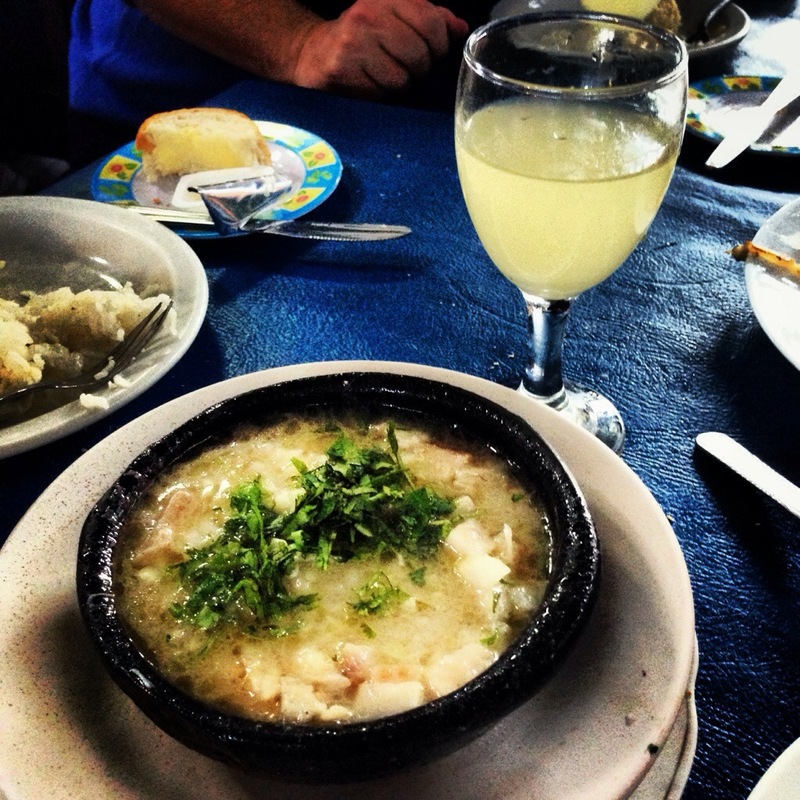 I had a couple of very messy nights in Bolivia on Pisco Sours – amazing drinks!! 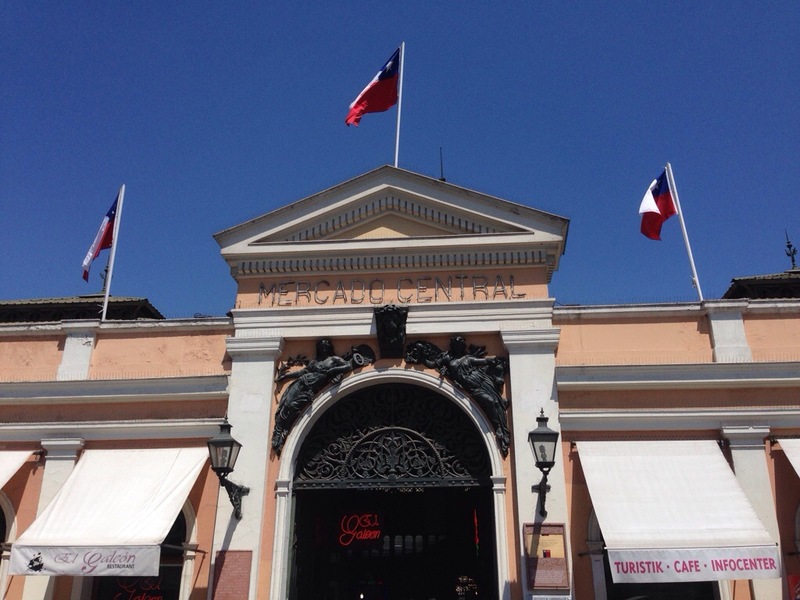 I loved Chile . . . . so much good food and good wine!! Have you tried Machas a la parmesana? Think razor clams au gratin. SO delicious!! LOVE Pisco sours. Are you visiting Concha y Toro and the Casillero del Diablo? What fun! Enjoy!! Salud! Had those yesterday! Not hitting those two wineries this time around but was at Concha years ago.